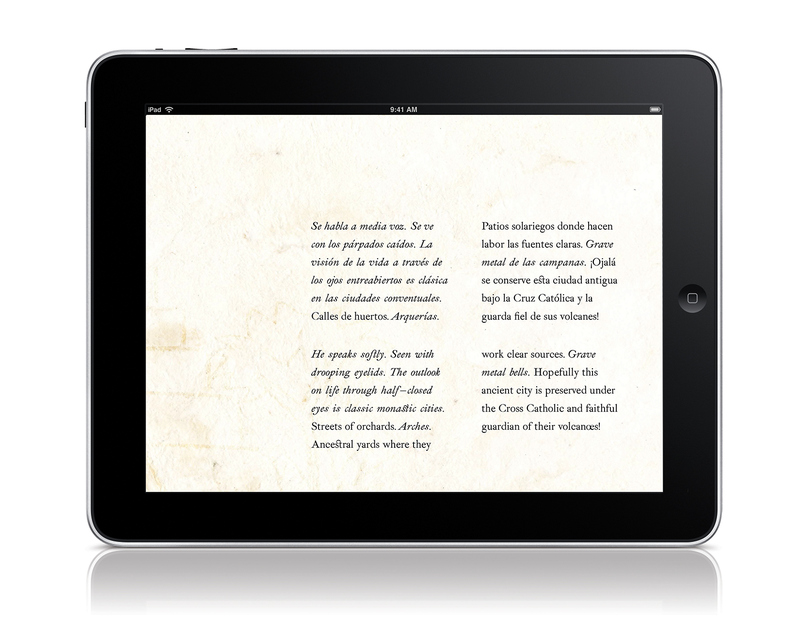 The following is the digital publication format that originated as a handmade book. 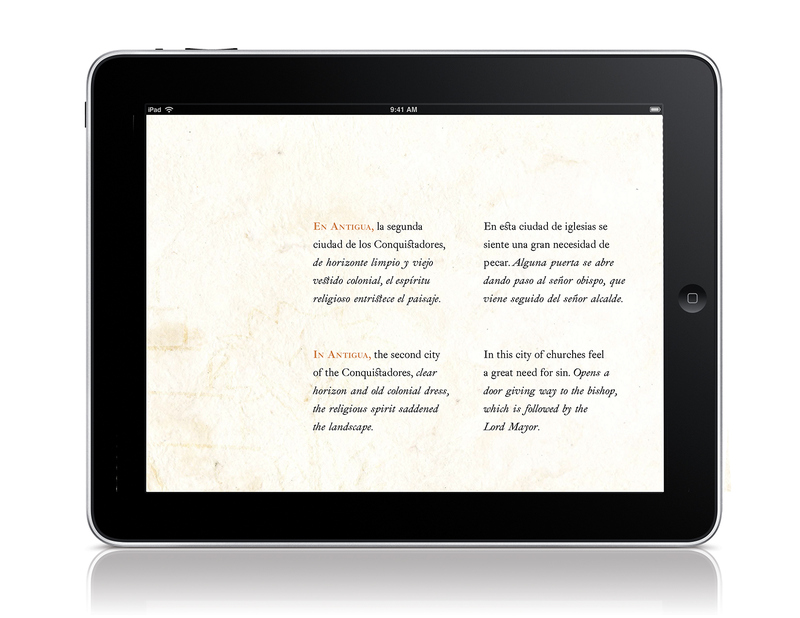 Deciphering Glyphs is a piece that captivates the typographic and interactive mind by using three writing systems pertaining to an excerpt from the story Leyendas de Guatemala by Nobel Laureate Miguel Ángel Asturias. 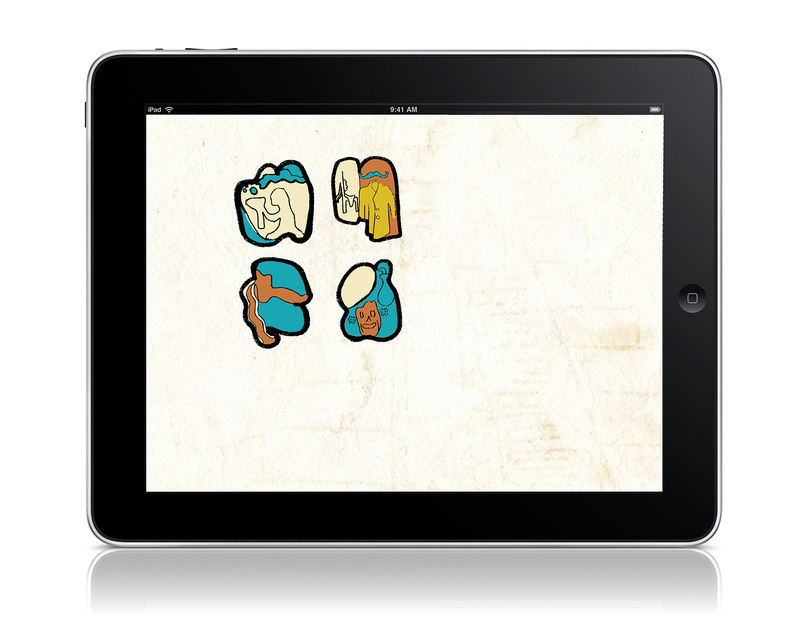 The languages are used to imitate the translation concept found in the Rosetta Stone. 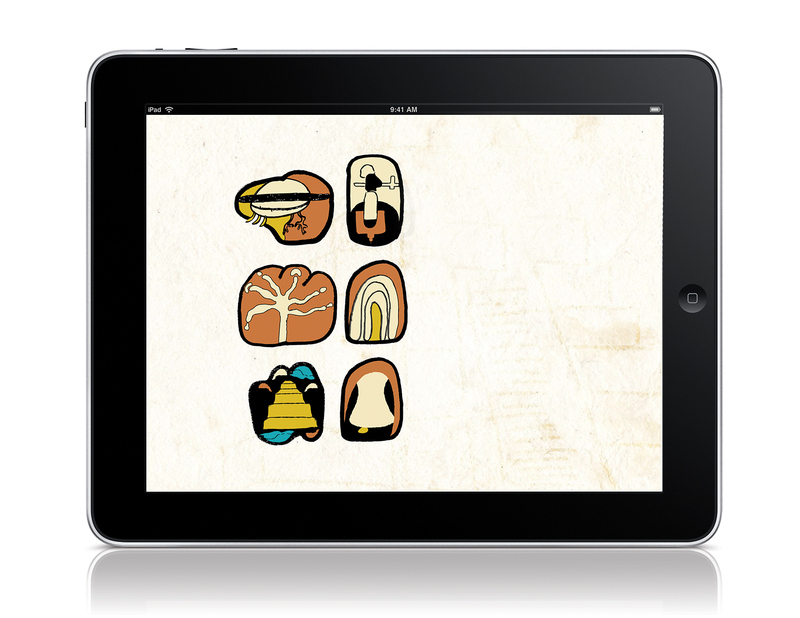 Rather than Greek (the language of the administration), demotic text (the native script used for daily purposes), and hieroglyphic (suitable for priestly decree), Deciphering Glyphs uses Spanish, English, and personalized hieroglyphs based on the originals designed by the Maya civilization.